A space to develop and hold all types of events. 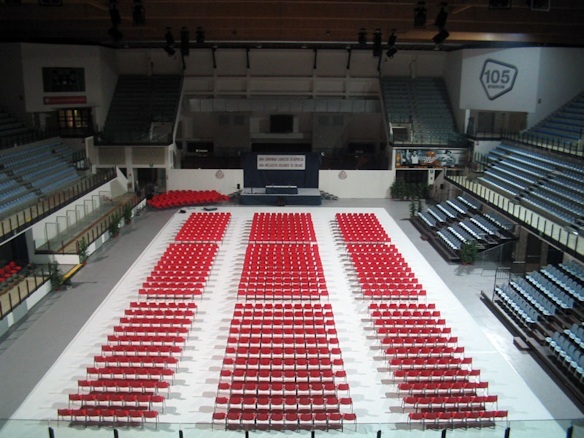 The RDS Stadium, also known as 105 Stadium until August 2017, was inaugurated on 14 December 2002. 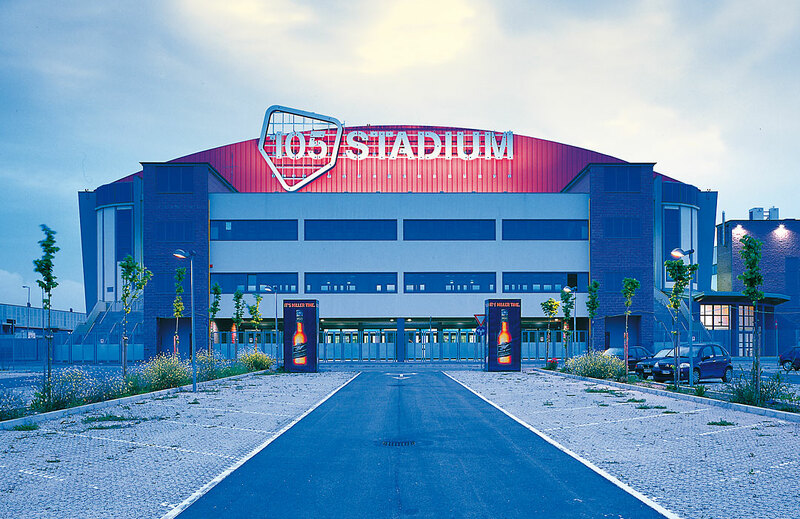 This is a multi-purpose structure located in Rimini and is recognized as one of the most representative Sport Palaces in Italy. Inside it is possible to conceptualize, develop and carry out events that range from conventions to trade fairs, sports to music, culture to special events. Consequently, transforming the client’s business plan into successful events. 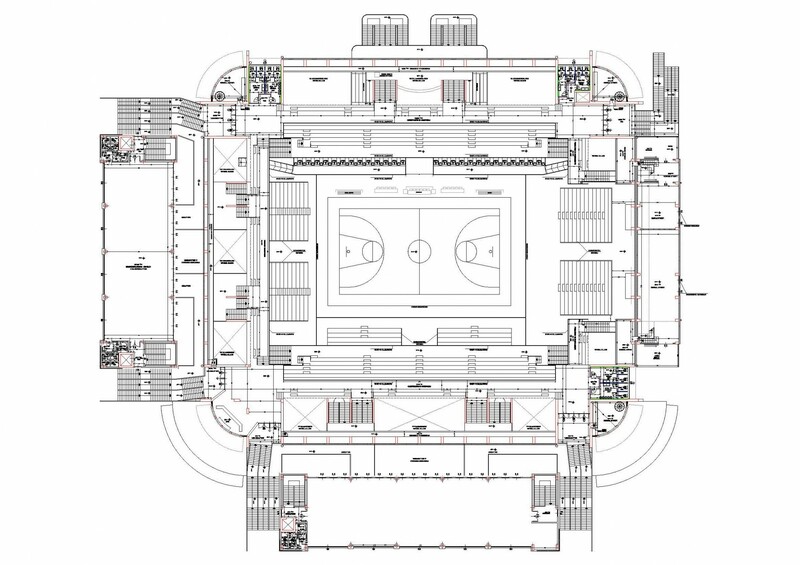 There is an official capacity of 4.703 seats for basketball games, capacity that for other events can be further expanded up to 7,000 seats by taking advantage of the parquet space. 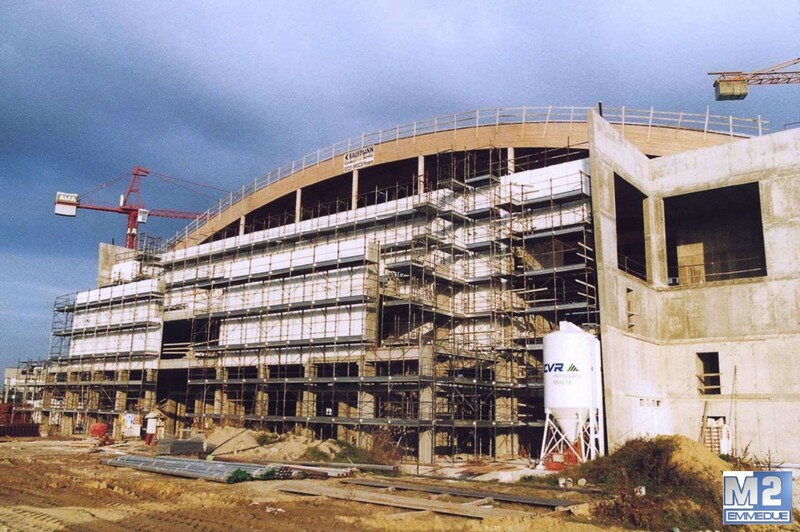 For the construction of the RDS Stadium, the Emmedue Advanced Building System was integrated to the traditional system. The Emmedue panel guarantees the chosen structural design safety and flexibility, thus allowing maximum structure versatility. 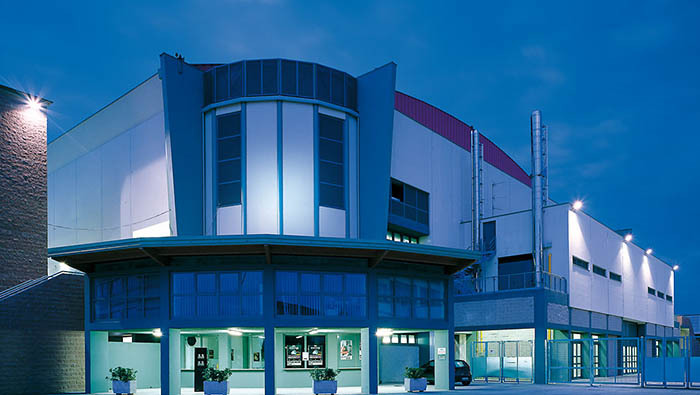 The Emmedue Building System is a versatile system compatible with other existing building systems. 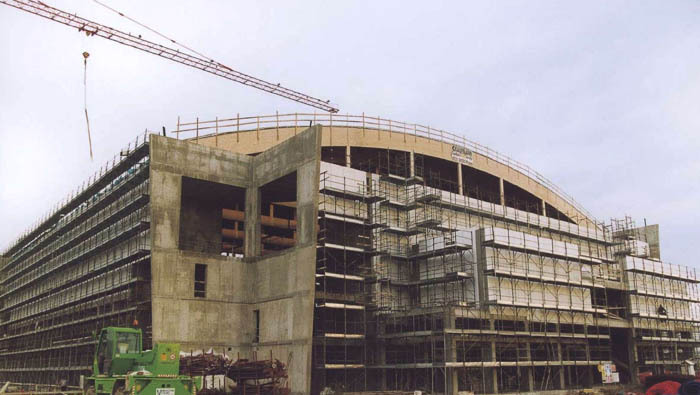 In fact, Emmedue products can also be used to complete reinforced concrete structures, as in the case of the RDS Stadium, where Emmedue panels were used as infills in the annexed buildings: gym, sauna, clinic, executive, commercial and tertiary spaces. 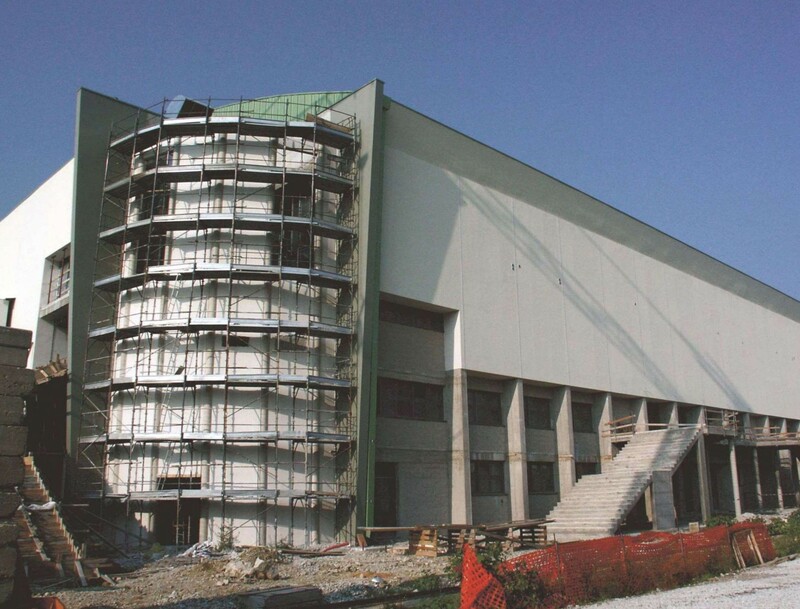 The quality of the expanded polystyrene used in the Emmedue panels is self-extinguishing, which guarantees excellent fire resistance to the structure, verified in tests carried out in illustrious laboratories. 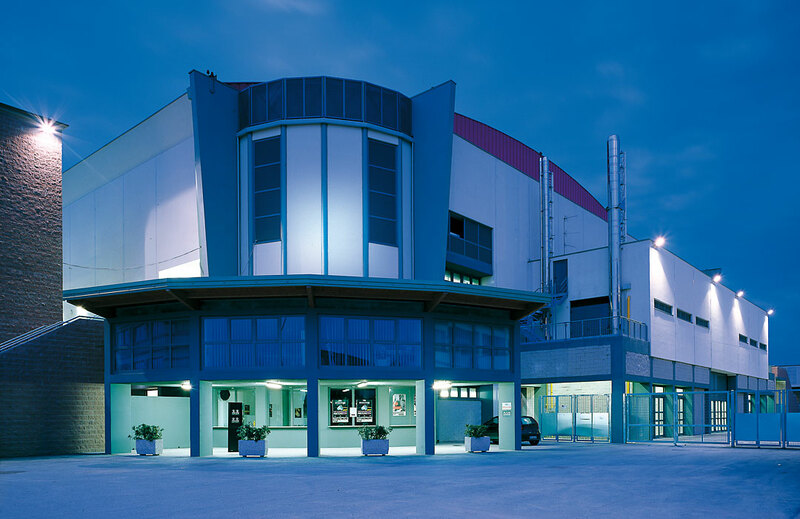 The panels used for the RDS Stadium provided a ReI 120 fire resistance. This means that for 120 minutes the panel proves resistance to the passage of fire, more than enough time to allow the evacuation of the 7,000 potential guests. 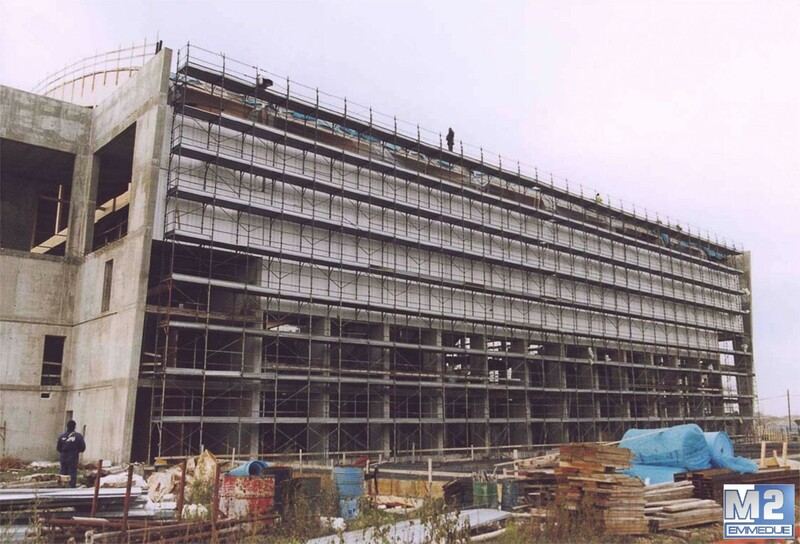 Emmedue panels brilliantly fulfill the insulating function by eliminating all thermal bridges. 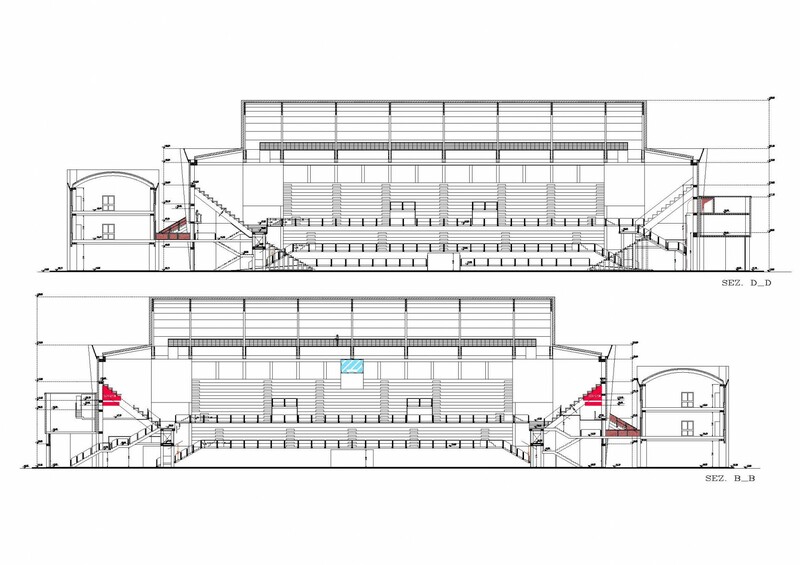 For the realization of the RDS Stadium, panels in EPS PSM120 were applied with a finished thickness of about 19cm, which guarantees a thermal transmittance of 0.416 W / m²K and a thermal insulation of 45 dB.